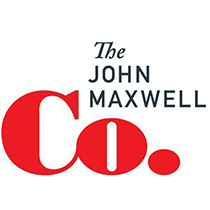 John Maxwell suggests his top three ways to create a healthy team environment that will help your team to flourish. At Chernobyl, the massive explosion of a Soviet nuclear reactor released radioactive fallout 400 times greater than the atomic bomb dropped on Hiroshima. While the suddenness and spectacular nature of the Chernobyl disaster drew the world's attention, another catastrophe in the Soviet Union passed by largely unnoticed. In the 1960s Soviet engineers diverted the two main rivers feeding the Aral Sea so that cotton crops could be cultivated in the surrounding desert. As a result, inflows to the body of water were reduced to a trickle. In time, the Aral Sea began to evaporate. Once the world's 4th largest lake, it shrank to well under 10% of its original size, leaving behind a graveyard of ships to litter the barren earth. Nicknamed "the silent Chernobyl," the destruction of the Aral Sea has had a calamitous impact on the surrounding environment. Dozens of species of birds, animals, and fish have vanished from the area. Salt from the lake, which now covers the dry earth like snow, is blown by the wind and contaminates farmland up to 500 km away. The salt also pollutes the air and groundwater, causing throat cancer, lung disease, and kidney and liver complications among the local population. The simple lesson from the Aral Sea is this: When leaders neglect the environment, the results can be catastrophic. In the workplace, leaders are environmental caretakers. They preside over the climate of a team, and their positive influence can make the office a healthy and inviting place. On the other hand, if leaders ignore the team environment, then the workplace can become toxic and hazardous to all who inhabit it. In this lesson, I'll share three ways in which leaders can heed their team environment in order to foster a climate of cooperation, engagement, and productivity. The true measure of a successful leader is not getting people to work. Nor is it getting people to work hard. The true measure of a successful leader is getting people to work hard together. Leaders have to create an environment in which people see themselves as a single unit, the team, rather than as a collection of individuals. Building a team culture means stressing that mutual success matters far more than personal brilliance. For a leader, the goal is to instill an attitude of "we" rather than "me." When I first started coaching, people told me to put my five best players on the court. But I learned early on that this was not the key to success. It wasn't putting the five best players on the court that was going to cause us to win. It was putting the five players on the court who could work together the best. We won championships because we put people together. They weren't always our best players. Like a good chef, Coach Auerbach understood that ingredients are limited on their own. The magic comes in how the ingredients are combined. James E. Lukaszewski, management and communication consultant, shares the following illustration. A farmer, while sitting on his porch, noticed a highway department truck pulling over to the shoulder of the road. A man got out, dug a sizeable hole in the ditch, and got back into the vehicle. A few minutes later, the other occupant of the truck got out, filled up the hole, tamped the dirt, and returned to the truck. Then the men drove forward on the shoulder about 50 yards and repeated the process - digging, waiting, refilling. After a half-dozen repetitions, the farmer sauntered over to them. "What are you doing?" he asked. "We're on a highway beautification project," the driver said. "And the guy who plants the trees is home sick today." The two guys didn't have a team perspective; they only saw their jobs. Even though their work accomplished nothing in the absence of their teammate, they went on doing it anyway! When people don't understand how their work matters to the team, they fall into mindless routine, and they deny putting their heart into what they do. Leaders have to guard against a purposeless environment by building bridges between what and why. By helping people see their contributions to the team's goals, leaders ennoble them with a sense of meaning. When an organization doesn't understand its customer, then the team environment becomes wasteful and inefficient. Efforts go into products that sit on shelves. Time and energy are sunk into marketing services nobody wants. Eventually, the team tires of doing unproductive work, and its morale nosedives. Leaders foster a team environment in which the customer experience is a primary consideration. They refuse to allow their teams to guess at what customers need. Instead, leaders teach teams the discipline of consulting customers regularly. By allowing customers to define success, a team learns where to focus its attention and is able to position itself to excel. Before I speak at a conference, I call the person who invited me so that I can hear their expectations of me. Starting with a clear view of my customer's needs helps me as I plan for the speaking engagement. I can fine-tune my content and structure my schedule in line with my customer's wishes. By doing so, I am generally able to meet, and hopefully surpass, their expectations of me.